Who is LGeneral Andrew Leslie (Ret)? Battle tested on the plains of Afghanistan, the mountains of Croatia and the corridors of bureaucracy, General Leslie is the man who was chosen to prepare the Canadian military for the future. This critical and politically charged appointment came as a result of his outstanding career as an expert in risk management, strategic planning and, above all, leadership. A fascinating speaker, General Leslie, the former Chief of the Canadian Army, delivers insight that links the universal lessons of leadership in battle to corporate leadership that has to initiate and lead change. Also, his insider’s perspective of the process of transforming the armed forces is a powerful resource for any organization contemplating change to meet future challenges. Whether it is the challenge of evolving demand, the workforce of the future or the effects of globalization, Leslie’s lessons learned are invaluable. 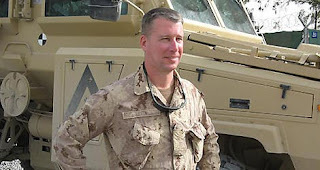 Born into a multi-generational military family that includes Generals and Ministers of Defense, Leslie is a graduate of the University of Ottawa and several European military schools, he holds degrees in economics and military history. He has served in several overseas postings including leading troops in the former Yugoslavia where he was tapped to be Deputy Commander of UN Confidence Restoration Operation in Croatia to lead the rebuilding of that country. Then it was Afghanistan, where he was Deputy Commander of the International Security Assistance Force, following which he was appointed as head of the Canadian Army. Finally he was appointed to Chief of Transformation for the Canadian Forces, where it was his job to design the efficient transition of Canada’s Armed Forces to better prepare for future challenges. He has received numerous awards, not the least of which is The Order of Military Merit, one of Canada’s highest awards. Foreign governments have also recognized Leslie’s contributions with the Commander’s Cross Order of Merit from Poland and from the US, the Commander of the US Legion of Merit. Leslie is the only non-American to receive this award to date. General Leslie has since transformed himself to the civilian world where he heads up the Defence, Public Safety and Intelligence unit of CGI Group Inc. a Canadian company that is one of the largest independent information technology and business process services firms in the world.